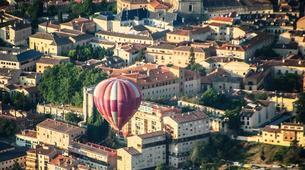 Madrid is an amazing city and the geography and charm of the smaller towns is something you have to experience, what better way than from the air! 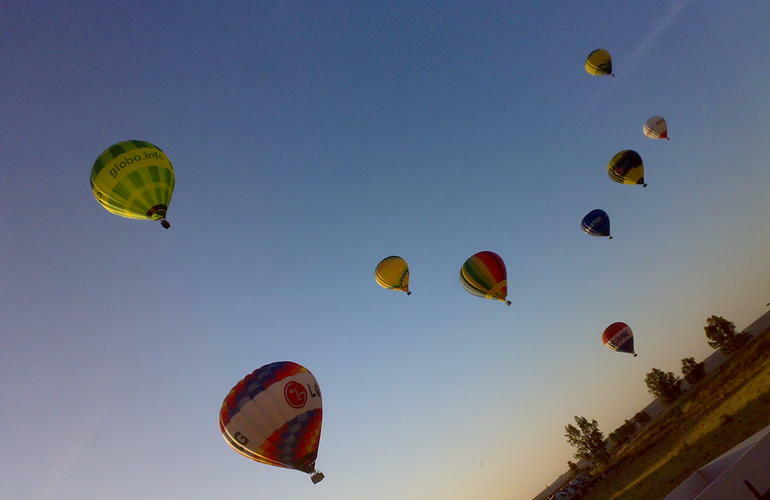 Aerotours hot air balloon rides are activities that can be done by any age and that can be shared among friends and family. 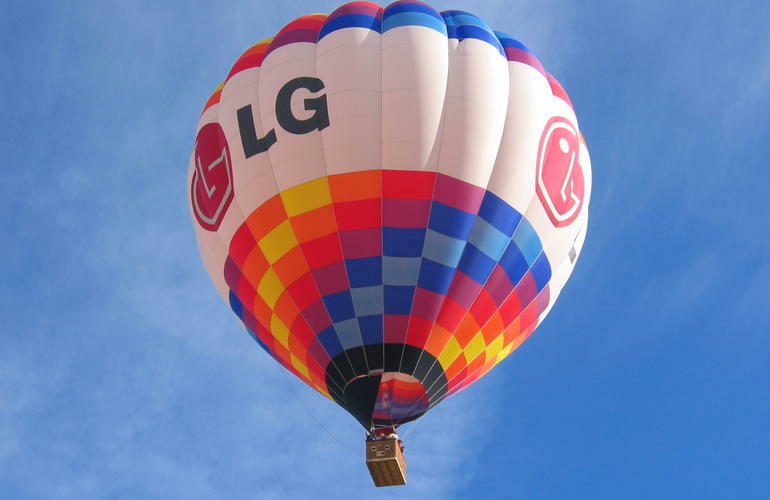 Right from the first flames heating the air inside the balloon, to the last breeze of air at landing, your flight will be a life time experience. 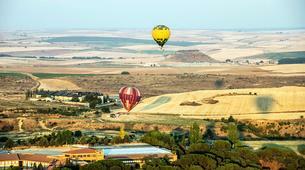 During your flight you'll discover unexpected landscapes, and you'll be at the morning breeze's will. 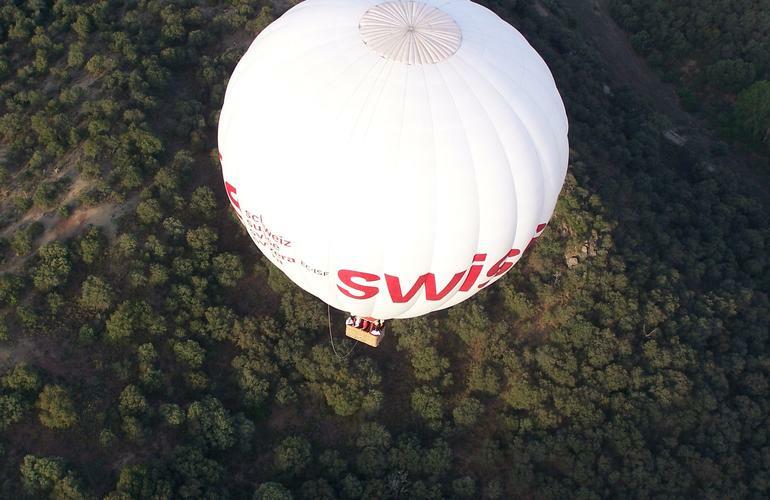 The balloon flights organized by Aerotours will give you the opportunity of enjoying the landscape from a new perspective, with the comfort of some of the best balloons in the world and in the hands of the most experienced pilots. The flight will start early in the morning, when the best weather conditions and gentle breezes of the sunrise will contribute to a smoother flight. 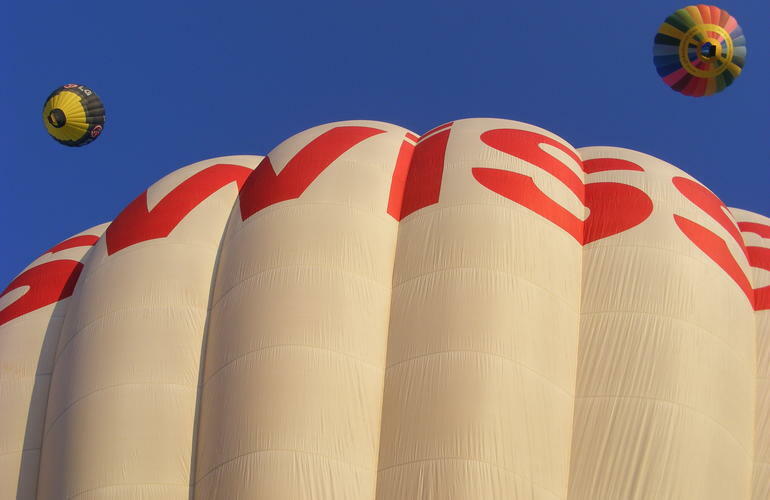 You'll arrive at the launch field with enough time to witness the balloons getting inflated. 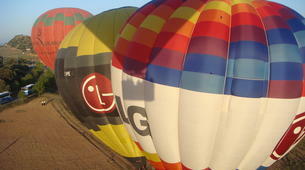 Then, you'll receive the pilot briefing before jumping into the basket and flying for around 1 hour. 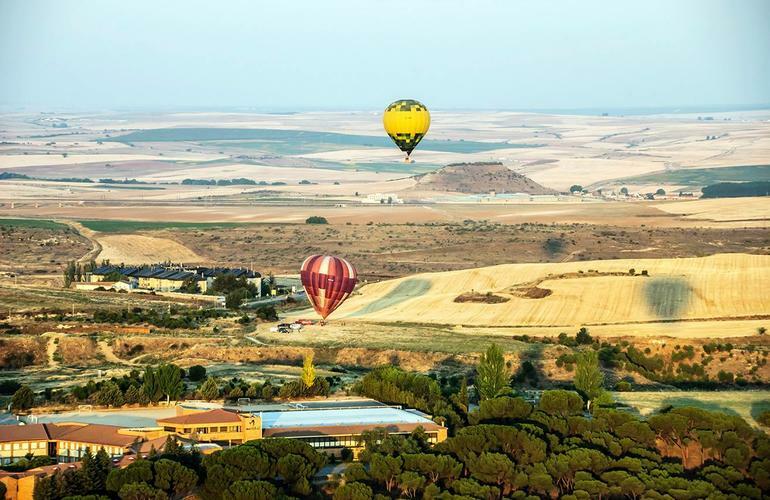 After landing you'll have a glass of wine and a countryside brunch. 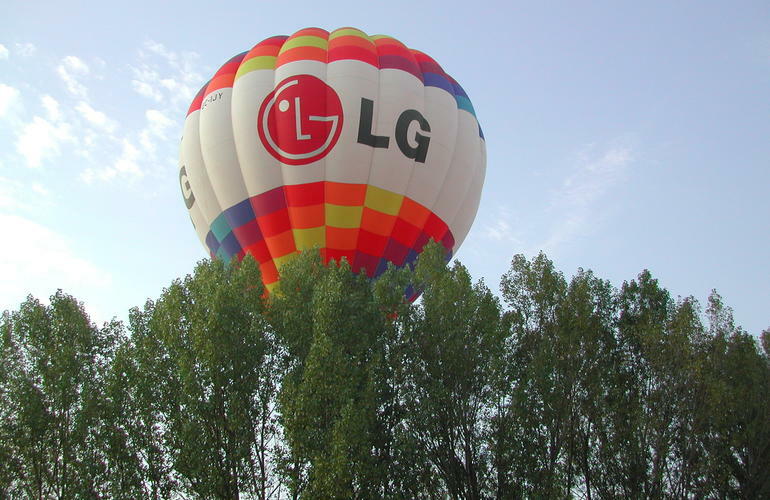 As a treat, you'll receive a high resolution video and a picture selection of their flight and a flight certificate so you can remember this balloon flight. 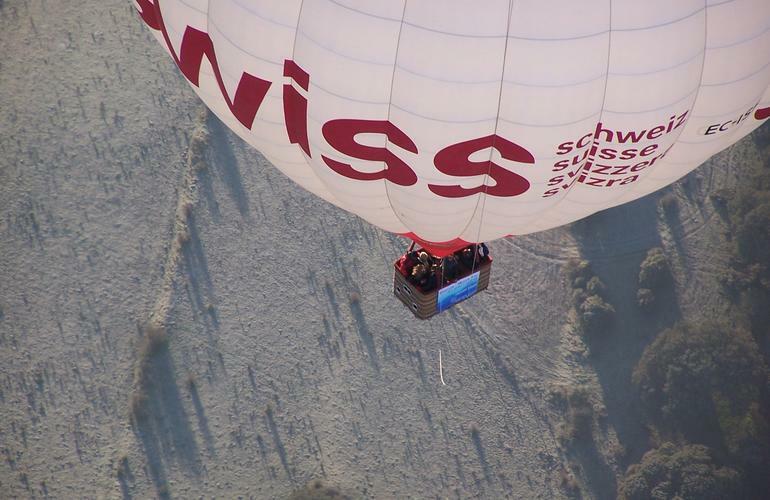 Discover a new perspective of a unique city. 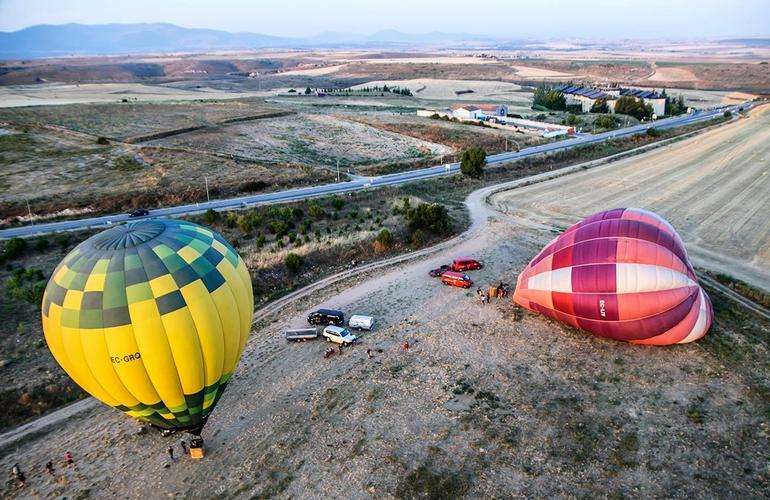 Experience the beauty of the views from the balloon of the old town surrounded by the wall and the most relevant monuments, with the view of the Sierra of Guadarrama in the background. 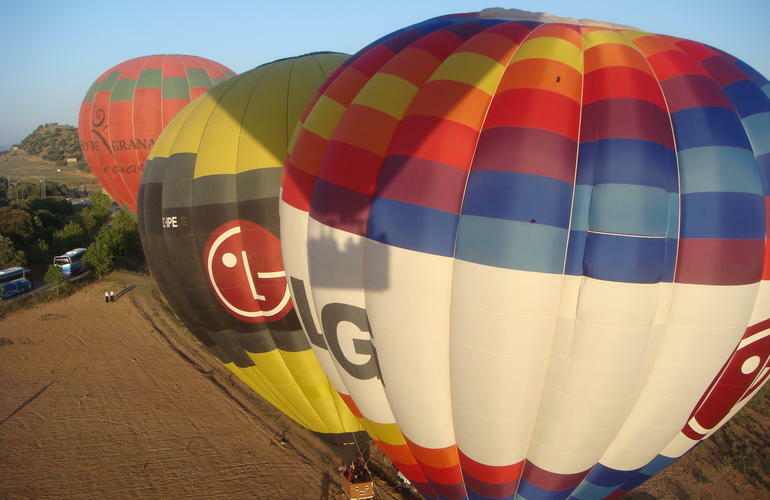 This flight is one of the best, and its considered a clients favorite! 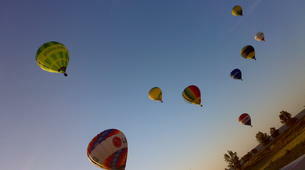 - Then, while the balloon gets filled with air, you'll be briefed. 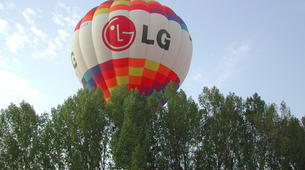 - Once the balloon is ready, you'll get into the basket and fly 1 hour approximately. 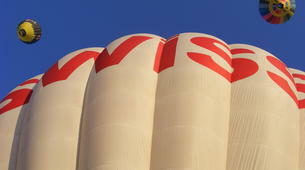 The balloon will soar and the ground crew will follow you in 4x4 vehicles. 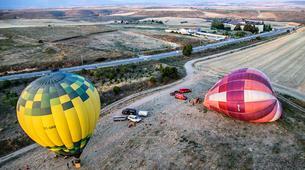 - When landing, the crew will pack the balloon. - You'll have a glass of wine and countryside brunch so you can celebrate your flight, you will also receive a flight certificate. Duration of the activity: 3 hours approximately. This activity is not recommended for children younger than 6 and for pregnant women. Please keep in mind that since weather is a very important factor, Aerotours will be in contact the previous days of the activity to track the weather forecast. If the day before the flight the forecast is not good enough, the flight will be rescheduled to another convenient date. 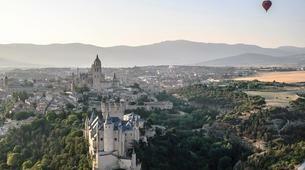 Flying over the Regional Park of the Guadarrama and enjoying the natural richness of the sierra in Madrid will allow you to witness the best possible way a rich landscape of oak trees, with the mountains in the background, the river Guadarrama, and the hidden monuments like the Castle of La Mocha. 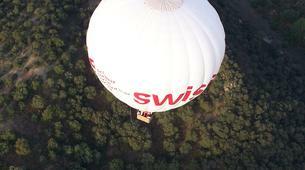 Discover a new perspective of a unique city in an exclusive two-people flight! 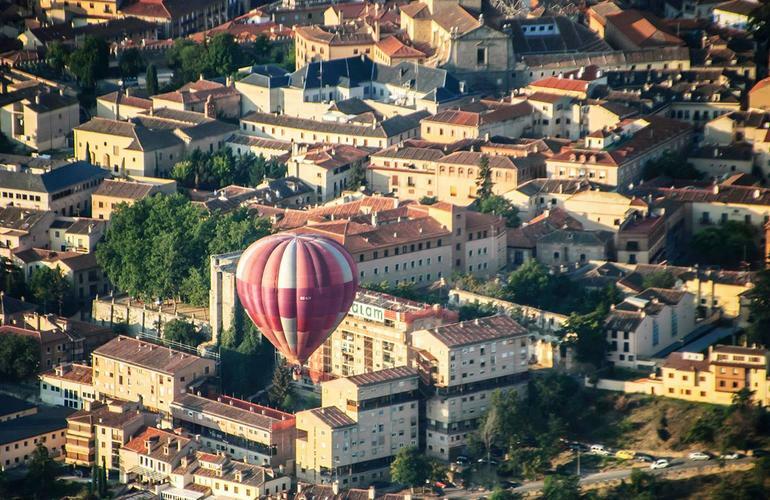 Experience the beauty of the views from the balloon of the old town surrounded by the wall and the most relevant monuments, with the view of the Sierra of Guadarrama in the background. Please keep in mind that since weather is a very important factor, Aerotours will be in contact the previous days of the activity to track the weather forecast. If the day before the flight the forecast is not good enough, the flight will be reschedule to another convenient date. 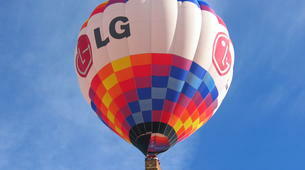 *This price applies for an exclusive ballon flight for two people. 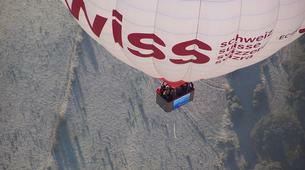 Discover a new perspective in an exclusive two-people flight! 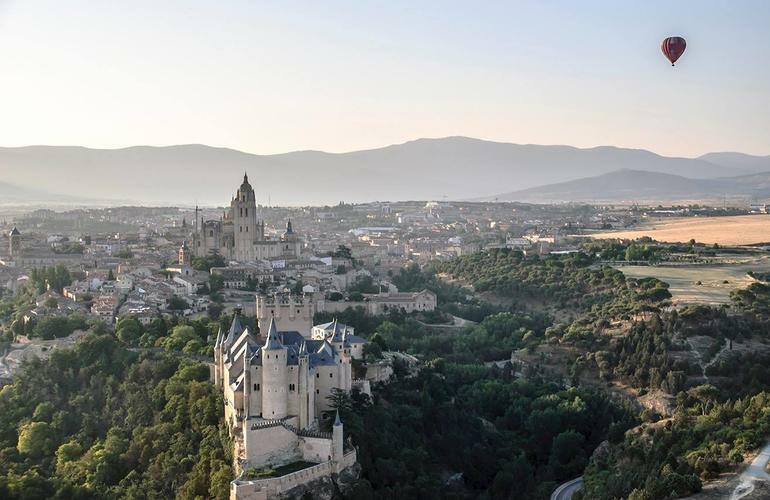 Flying over the Regional Park of the Guadarrama and enjoying the natural richness of the sierra in Madrid will allow you to witness the best possible way a rich landscape of oak trees, with the mountains in the background, the river Guadarrama, and the hidden monuments like the Castle of La Mocha.